Last Game: Last night vs. Lehigh Valley the Penguins were dealt their first loss on home ice all season with a 3-1 setback to the Lehigh Valley Phantoms. Conor Sheary had a first period goal. For Hartford, they hosted Hershey last night and won 4-3 in a shootout. Chad Nehring had a goal and an assist for second star honors. Last Meeting: November 15 in Hartford, the Penguins were down 5-1 after 20 minutes but stormed back for five straight goals before winning in overtime 7-6 in an improbable comeback. Scott Wilson was named first star with two goals and an assist. One of those goals was the overtime game winner. Why you should care: The Penguins, by their standards, had a terrible game last night against the Lehigh Valley Phantoms. 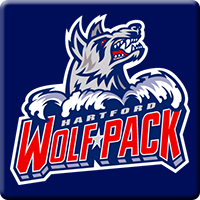 Look for them to come out with vim and vigor against a Hartford team that has won just two of their last five games. Other Game to Watch: I like Lake Erie and Grand Rapids tonight. Two teams at the top of the Central Division in a nice Saturday night match-up in Michigan.